Author Tejas Desai expresses his frustration with the classic publishing industry by way of explaining why he opted for self-publishing. Much bluster has been made recently in the media regarding the Amazon-Hachette dispute, with multimillionaire authors, agents and self-published writers, among others, weighing in. Most have condemned Amazon for its bullying tactics in negotiations with publishers while self-published authors like Barry Eisler and J. A. Konrath have defended it for democratizing the field. Much of the rhetoric has involved terms like “sales figures” “copies sold” “promotional fees” and “marketing development.” Very little of the conversation has been about the more important issue of the current state of narrative and where literature is headed. I published both my books, The Brotherhood (2012) and Good Americans (2013), through my own company The New Wei, after being frustrated with the traditional industry and the type of literature it was producing. I found most literary books I read to be bland in content and only passable in style. They often seemed to have some non-fiction market angle that hoped to sell the book and justified the authors getting teaching jobs and never publishing future books. Yet all of these books were acclaimed by major critics, newspapers, magazines, publications and writers, which caused me to question their impartiality, or at least their taste. As someone who worked at a literary agency for years, I already knew how random publication tended to be and how difficult it was to sell a book. Most books never sold and those that did rarely earned out their advances. The contract terms were absurdly tilted toward the publishers and authors didn’t have much say in presentation or marketing. Most authors never got agents, and it had little to do with quality. Usually, it was just luck. Still I continued to have some faith in the industry even as I left it, became a professional librarian, received a MFA, wrote and rewrote my works. And while I received initial interest from several agents, I never got one. Even the independent publishers rejected it. All their stated reasons were different. I knew that fiction books were only published in two ways. Either it fit neatly into an already existing category (mystery, romance, literary) or someone in the industry fell in love with it, causing others to fall in love with it etc. Basically, people got on board, but often because it was the cool thing to do, part of a snowball effect, not necessarily because they truly loved it. Most agents and editors got hundreds of queries a day. Even manuscripts that did make it through to an editor often went unread, and decisions were often made on a first sentence or first paragraph. Most editors were acquisitions editors. Neither of my books fit neatly into pre-existing categories. 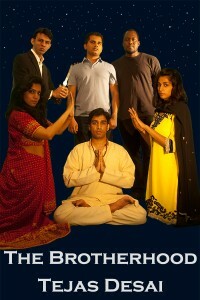 The Brotherhood was initially a literary thriller with strong Hindu themes, dream sequences, monologues containing life philosophies. In other words, it was a hybrid that seemed destined for failure in such a risk-adverse industry. Even when I rewrote it in six weeks into a straight noir mystery, one agent only wanted to help me self-publish it—apparently the noir success of the content-devoid Girl with the Dragon Tattoo didn’t translate to a book that actually had content. My short story collection of “literary” stories was also a bad fit. Nearly all the recently published literary collections I had read were bland in content, aimed at the “market” of book club readers, middle class women who compromise the majority, in the publisher’s minds, of readers. Otherwise, they were random flukes that someone in the industry pushed through. Often they demonstrated the writing ability or aesthetic of an author who couldn’t yet pull off a longer work. 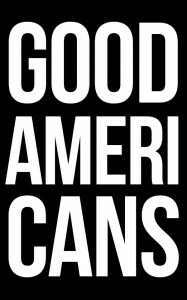 But my short story collection Good Americans didn’t just demonstrate my ability to write or my aesthetic. It also had a wider and more innovative purpose, to portray and satirize American society itself. It contained brutal conflicts among many ethnicities, including those I wasn’t “supposed” to write about. Each story had a different subject and style. It was the first in a series of short story collections called The Human Tragedy I planned to continuously write that created a panoramic portrait of contemporary America and mirrored Balzac’s famed Human Comedy from two centuries before. It was a revival of a kind of hyperrealism and provocative literature of the past that documented our time in an entertaining way, akin to the TV series currently revolutionizing television. Yet, almost because of its ambition and quality, that didn’t really fit the audience for short stories that publishers had in mind. In essence, any attempt to create, challenge or innovate was shot down by a publishing industry that wanted to string along a complacent public. A Balzac, a Dostoyevsky, a Faulkner, would be impossible to exist in such a system, or at least, if he did exist, he would never be discovered or known. By nature the system tended to promote the mediocre writers who had nothing to say or who, if they once had something to say, had it punched out of them by agents and editors who were only interested in marketability. By nature the writers willing to put up with the whims of these people would be published, and thus the uncourageous would be victorious. A true artist with actual ambitions of writing fiction with both strong substance and innovative style was at a loss to obtain an agent or publisher. Or at least, if he did get publication and renown, it would just be a fluke. Thus, I was forced to create my own company and publish my works myself. As it happened, the process empowered me and I wondered why I had bothered trusting the old system in the first place. Marketing and gaining a name for my books has been a learning process, but it felt more honest and creative than relying on the publishers. Amazon and other vendors have helped without any adverse incidents so far. But Amazon has been by far the most dynamic. Yet, despite my current partiality towards Amazon and aversion to the major publishers, my goal isn’t to take sides in the debate but rather to help foster a new renaissance of genuine narrative artists, using self-publishing currently and perhaps author collectives in the future, to help it along. That has little to do with sales figures or copies sold, or the perceived marketplace, and a lot to do with creating a new literature that reflects our time in an honest yet imaginative way. 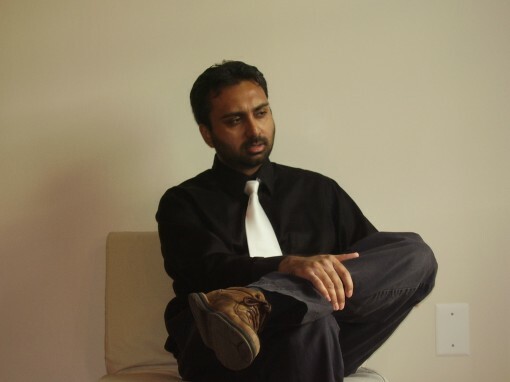 Tejas Desai is the author of the novel The Brotherhood (2012) and the short story collection Good Americans (2013). His articles on literature have been published recently in the Huffington Post Books Section and the Neworld Review. A professional librarian, he holds a MFA in Creative Writing and a MLS in Library and Information Science. He was born in New York City in the early 1980s, where he still lives, works and writes.